It’s fifteen years today since I moved from the UK to South Africa. A lot has happened in those fifteen years, including (but not limited to): one marriage, a few jobs, two kids, some houses, a beagle, an awful lot of braais, many litres of Castle Milk Stout, and several thousand blog posts. No, I’ve never really thought about going back. Sometimes we celebrate this anniversary, sometimes it passes us by and we only realise after the fact. Today, I marked it by smashing out a ridiculously vigorous workout at the gym, which will mean that I won’t be able to walk tomorrow. Lovely. See you again in 2034. I’m a great believer in being positive. Not to the exclusion of all reason: I’m a realist before an optimist, but I’m very much an optimist ahead of a pessimist. So with that said, I’m both hopeful and not ever so hopeful about the year ahead for South Africa. Hopeful because I feel that the vast majority of people here are decent, honest and willing to work towards making this a better place. Not ever so hopeful because the loony fringes of left and right are out to make any meaningful progress harder than ever. And to be honest, despite their small numbers, they’re still in the pound seats right now. They have a miserable public to speak to, there’s an election coming up real soon now and a clear lack of leadership at the top of the two leading political parties, while the guy in third place – currently holding 6% of the vote – is happily directing matters via a seemingly sycophantic media hanging on his every rant. The economy is in tatters, with the promise of more bad news to come in the months ahead, unemployment continues to increase, and the government seems unable or unwilling (maybe both) to do anything about any of it. Our newspapers and news sites are filled with biased, puerile, inaccurate and sensationalist crap and yet still people read and believe every word. There are a million bandwagons lined up like free Ubers just waiting to be leapt upon and an increasingly depressed and desperate population needing a ride. But despite all this, I still believe that there is hope. We just need to avoid being dragged down by the really dreadful stuff to the exclusion of all of the good things and good people that there are out there. Clearly, that won’t happen. But it would be nice if it could. And let’s also look elsewhere before we bury ourselves in self pity. Not that it improves our situation at all, but it’s not as though we’re alone in having struggled through the frying pan of 2018 only to be shown the fire of 2019. So I completely accept that things are some distance from rosy as SA heads into 2019, but I don’t think it’s the cataclysmic end that so many people seem to believe it will be. Unless I’m wrong of course, in which case, we’re completely buggered. 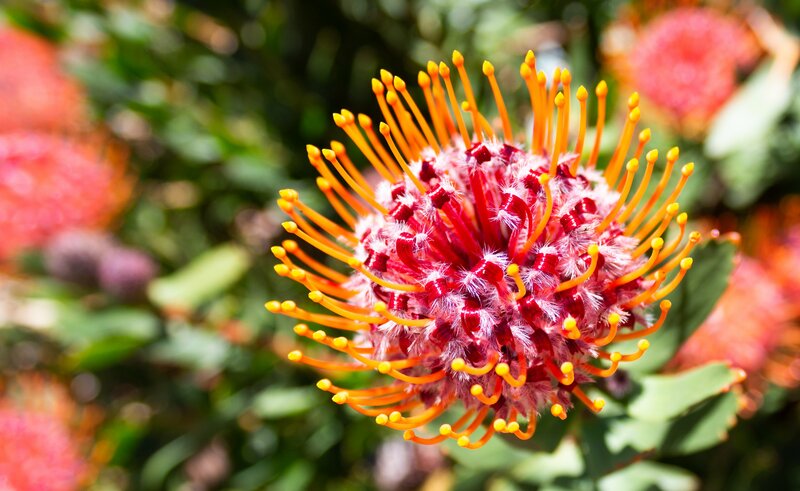 Author 6000Posted on September 17, 2018 September 17, 2018 Categories learning curve, positive thoughts, quota photo, this is south africaTags flowers, proteas, south africa, springLeave a comment on Suddenly… Spring?